Potheads and boozehounds have been duking it out for ages, and scientists have finally settled the age-old debate of whether marijuana or alcohol use is worse. Sorry boozers. It turns out, marijuana may not be as damaging to the brain as previously thought. Researchers examined the brains of more than 1,000 participants of varying ages by looking at neurological imaging data from MRI scans. Specifically, they used the data to examine the types of tissues that make up the brain: gray and white matter. Gray matter includes cell bodies that, among other things, enable functionality, while white matter allows everything to communicate. A loss of either would mean the brain isn’t working properly. The team found that marijuana and cannabinoid products did not have long-term effects. Alcohol, on the other hand, was significantly associated with a decrease in gray matter size and white matter integrity, especially in adults with decades of exposure. The findings are published in the journal Addiction. Yes, booze brain is a thing. 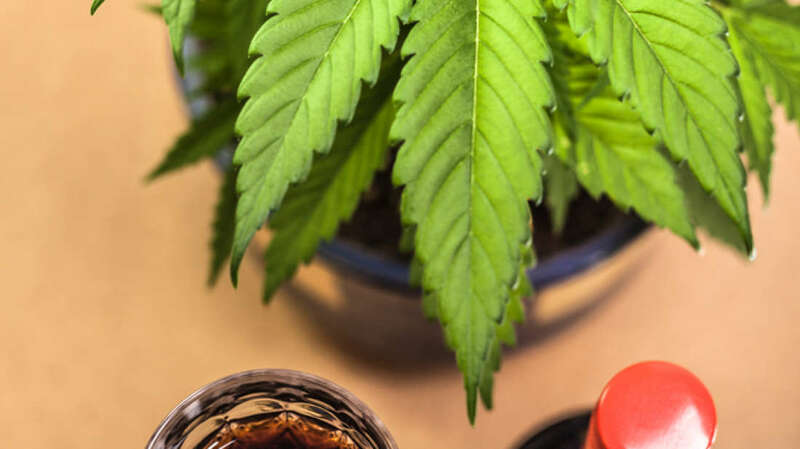 The negative impacts of alcohol on the brain have been known for years, and it was assumed cannabinoids were damaging to long-term brain health as well because of their immediate psychoactive effects. A lot of past research studying the negative effects of marijuana came up with differing results said Hutchison, who is a professor of behavioral neuroscience at the University of Colorado (CU) Boulder. "The point is that there’s no consistency across all of these studies in terms of the actual brain structures,” he said. Don’t go running to the nearest dispensary just yet. Researchers say this doesn’t mean pot is better for you or that the study proves any health benefit of toking up. It just means the impacts of lighting up might be less than what was previously believed. The researchers say the study could help to better inform potential alternative pain treatments in the face of the ongoing opioid epidemic.